Finally, Microsoft has released the first public beta version of Internet Explorer 9, after months of preview releases. But now to something more important (at least to me and many of you using TX Text Control's BrowserTextControl component). Does the BrowserTextControl work with Internet Explorer 9? Absolutely, yes! I tried many samples that come with TX Text Control Server for ASP.NET (incl. 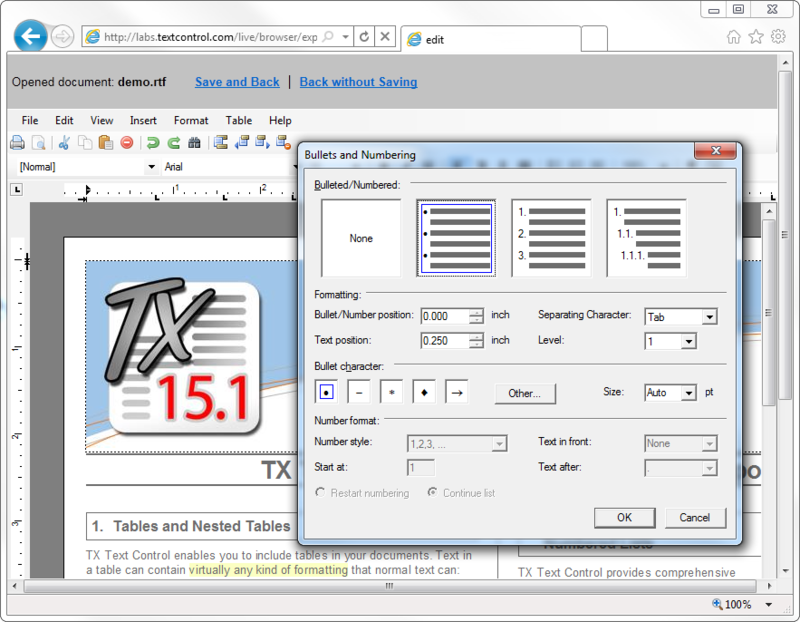 Windows Forms) as well as the online samples at labs.textcontrol.com and all of them work very well. .NET assemblies can be seamlessly integrated and loaded client-side. The loading of components depending upon the .NET framework has not been changed.